The devotional classics for today - that is perhaps the best way to describe this unique album dedicated to Sri Vishnu and Sri Radha. 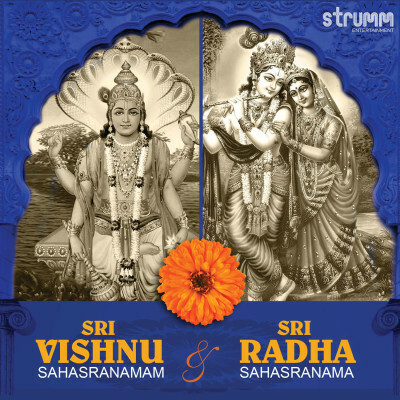 In addition to the very popular Vishnu Sahasranamam & Achyutashtakam, the album also features Radha Sahasranama combining all aspects of the Supreme Being. Musically, the album strikes a careful balance while adapting the mood of devotion to todays tastes - singer Rita Thyagarajan and the all-girl band OM Voices give a finely nuanced performance, showcasing their ability to present traditional verses in a contemporary format. Music director Sai Madhukar strives to retain elements of the 'traditional musical performance' in Vishnu Sahasranamam, while inserting some elements of modernity in the remainder of the album. Om Voices enhance the devotional mood with their trademark harmonies.